12 Not-to-be-Missed Luxury RV Resorts Across the U.S.
One of the best parts about RV camping is that you can wave goodbye to the idea of “roughing it.” With all the comforts of home on board, your vacation becomes less rugged and more relaxing. 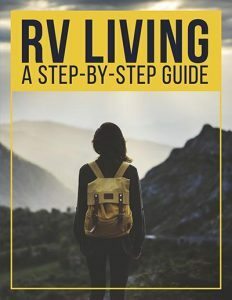 But if you really want to bring your RV camping game to the next level, you can double down on the luxury by carefully choosing your campground. Because, let me tell you, some of the luxury RV resorts available across this country will make you forget you’re not in a five-star hotel. After all, not everyone wants to be as intimate with nature as you are in a tent. Or even a tent camper. Sometimes, only the very best will do. And for those times, you need to get yourself to one of these insanely gorgeous RV parks. Some call it “glamping.” Others just call it living their best lives. 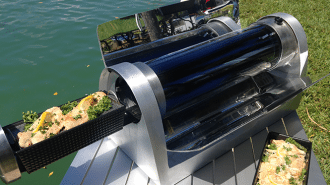 But either way, RV camping in a dedicated resort — the kind of place with swimming pools, clubhouses, social events, and panoramic views that will knock your socks off — is an experience you shouldn’t miss, even if you’re normally a tough, outdoorsy boondocker. 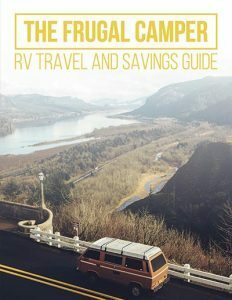 The opportunity to follow up a full day’s outdoor adventures with some serious indulgence is a unique combination that you can pretty much only find in luxury RV camping. Don’t get us wrong; these spots can be pricey. But even a campsite that’s $150 a night is less than the average hotel room. Besides, you deserve to treat yourself once in a while, don’t you? While privately-owned, luxury RV resorts can be found across the country. We found a few standouts we don’t want you to miss. Whether you’re headed to the Gulf Coast or to the mountain west, we suggest you take a good look at these high-end options. Ready to find your next splurge destination — or maybe just to dream and scheme for the future? Either way, get ready for some drool-worthy vacation inspiration. 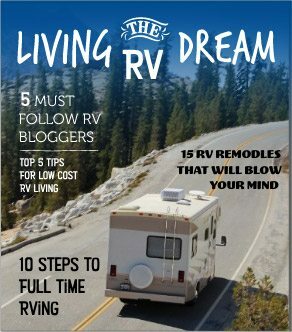 Here are some of the best luxury RV resorts in America, complete with their unique features and amenities and information about rates and reservations. Just imagine: infinity pools, private bath houses, and sweeping waterfront views. Sounds like a European Riviera, right? Well, it’s actually Bella Terra of Gulf Shores, one of the best-known and most prestigious luxury campgrounds. Along with the above-mentioned perks, it also features a 6,000-foot clubhouse, rejuvenating exercise room, and a lake fully stocked for your fishing enjoyment. Plus, of course, you’ll be just minutes from the soft sands of Alabama’s Gulf beaches. A slightly longer drive could land you on the Emerald Coast of Florida’s panhandle. That gorgeous clubhouse isn’t just for show, either; you can participate in a diverse selection of organized social events, from movie nights to cocktail parties. You can reserve your stay at Bella Terra online, but keep in mind that it’s a Class-A only community. 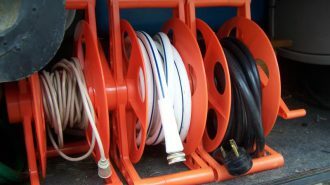 Your rig must also measure at least 32 feet in length and be no older than 15 years at the time of your arrival. 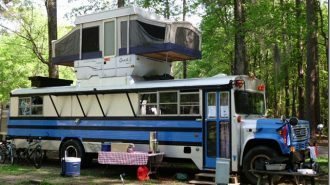 Click here to see RVshare rentals near Foley, Alabama. 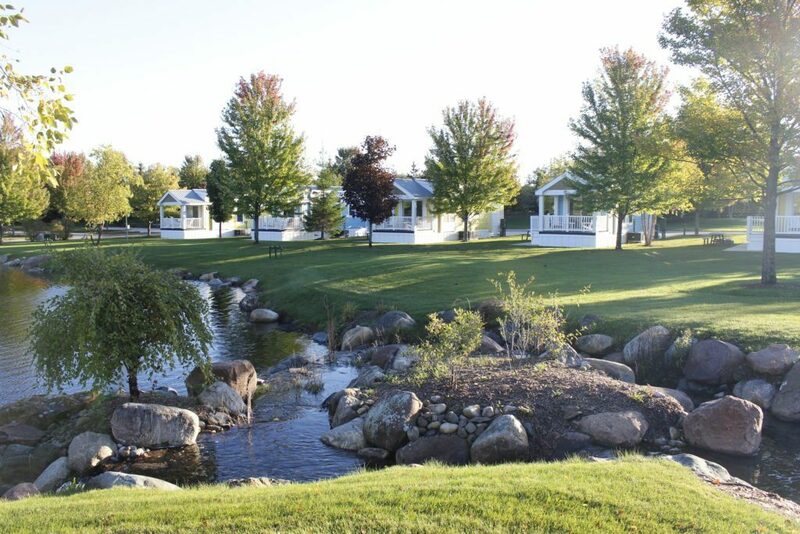 Consistently ranked among the top luxury RV resorts in the country, Petoskey RV Resort is a stunning 26-acre campus filled with luxurious RV sites and fully-furnished vacation rentals. The resort offers a community lodge, temperature-controlled swimming pool, a hot tub, and tennis courts — and with a 9-hole putting course, all that rolling greenery isn’t just for show! Staying on-site is heavenly, of course, but chances are you’ll want to find out why this part of the state is known as the “Crown Jewel of Michigan.” Fortunately, the campground is conveniently located to all the amazing outdoor pursuits you can imagine — and probably a few you haven’t. They even offer helpful guides to make getting out and about that much easier. For instance, check out this suggested itinerary for a day trip to Mackinac Island, or this quick guide to finding the best spots for outdoor fun in the area. From horseback riding to hiking to fly fishing, you’ll find a place to do it in the lower peninsula, all with the knowledge that a delicious Michigan craft beer is waiting for you afterward. Click here to see RVshare rentals near Petoskey, Michigan. 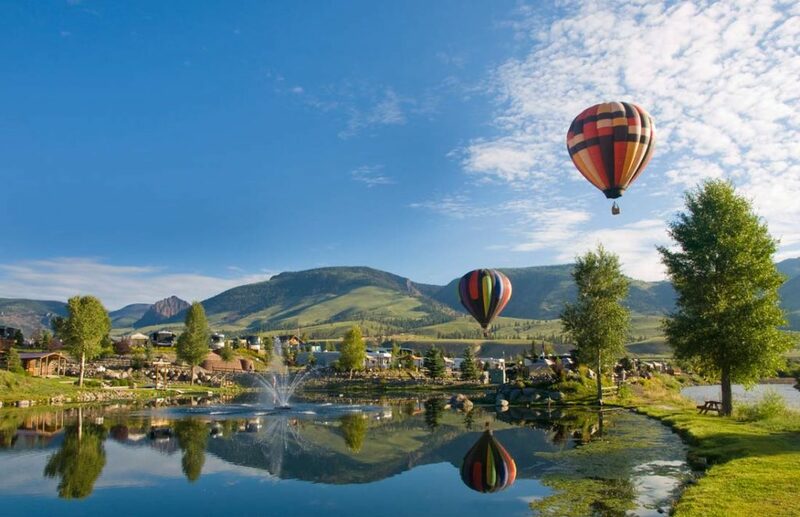 Sheltered by the majestic San Juan Mountains and fortified by the banks of the rushing Rio Grande, Mountain Views RV Resort and RV Park is the place to be if a southern Colorado trip is on your itinerary. Creede might not be as familiar a name as Colorado Springs or Denver, but if you’re after unparalleled opportunities for outdoor fun, there’s no competition. Aside from the scenery, wildlife, and adventures that wait in the nearby Rio Grande and San Juan national forests, Creede itself is also considered one of Colorado’s artsiest towns. After a full day of hiking, mountaineering, or ATVing, you can find yourself enjoying world-class live theater or browsing fine art galleries, not to mention enjoying delicious cuisine under some of the starriest skies around. In fact, Creede is part of Colorado’s 96-mile-long Silver Thread, a historic and scenic byway. Again, it might not be as famous as Monument Valley or Route 66… but if the video below is any indication, you definitely don’t want to miss it. Depending on when you visit, you can stay in these breathtaking Colorado RV sites for less than $30 nightly. Even peak costs hover around $50, which makes this one of the most affordable spots on this list of high-end RV parks and campground resorts. Click here to see RVshare rentals in Creede, Colorado. From the red rolling hills of Utah to lush desert springs, here are a few more indulgent spots to bring your RV to this summer. If you’re planning to explore Utah’s famous national parks, this is one of the best RV parks in the area. 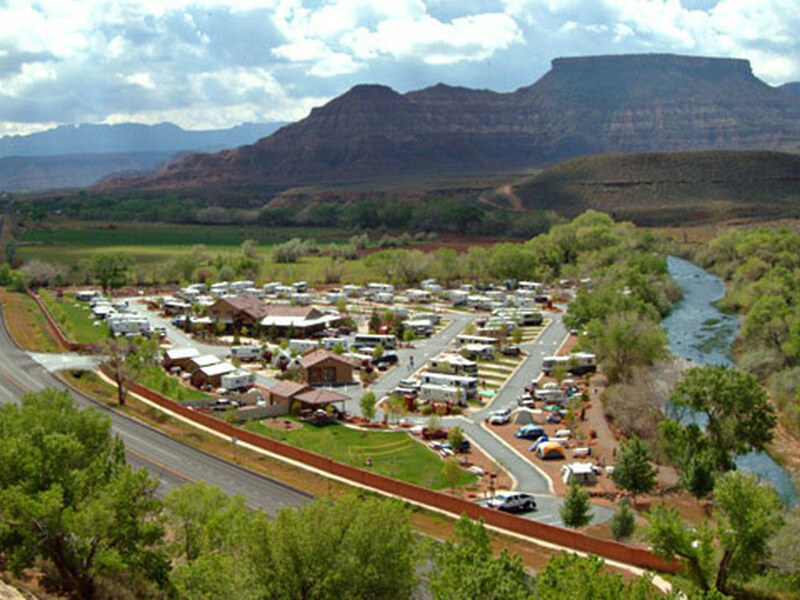 Zion River RV Park and Campground offers fully inclusive campsites of a variety of sizes, which each boast full hook-ups, a shade tree, a fire ring, a picnic table, free WiFi, and cable television. But aside from being an RV resort, Zion River is also a great option if you’re traveling without a motorhome. They offer both rustic camping cabins and glamped-up two bedroom suites, as well as a camping kitchen, laundry room, and shower facilities every visitor can benefit from. Once you’re settled in and ready to start exploring, you won’t be disappointed by what Zion River has to offer. Grab the affordable $7.00 shuttle bus to visit the eponymous park, or stay closer to home base to enjoy the swimming pool, spa, playground, take-out grill and social hall, where you can join other campers in a host of fun and educational activities. Perhaps our favorite feature of all — and surely the one your youngest campers will most likely fawn over — is the on-site mining sluice, where you can sift sand through water to reveal quartz, amethyst, citrine, pyrite, and aventurine. That’s just to name a few. And don’t worry mom and dad: you’re totally invited to get in on the gem-finding action. What’s more luxurious than spending a few hours rediscovering the curiosity of your youth? Zion River’s rates start at just $35 per night for smaller, back-in sites; full details and a seasonal/site-size rate breakdown can be found at this page. They also offer discounted week-long stays, special “snowbird” rates, and a rotating line of limited-time promotions. Click here to see RVshare rentals near Zion National Park, Utah. Think all the luxury RV parks in California are along the Malibu seaside? Think again. Sometimes, a mid-desert oasis is way more indulgent than the ocean. Enjoy the campground’s pool or hot mineral baths after a long day of hiking, or go all in and treat yourself to a massage at the on-site wellness center. Or just sit back in your campsite with your favorite beverage in hand — did we mention the average annual temperature is 73 degrees Fahrenheit? The park even hosts weekly wine nights and star parties so you can gather together with other like-minded campers, who enjoy the unique combination of camping with the finer things in life. 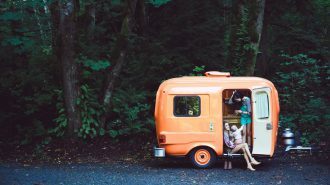 Which I guess is what they’re calling “glamping” these days… which is exactly what RVing has always been about in the first place! Prime season daily rates start at $64, but you can score discounts by coming in the shoulder season or staying for longer — weekly and monthly rates are much cheaper. And if you can handle the desert heat in the summer, you can enjoy all that Borrego Springs has to offer starting at less than $30 nightly! Click here to see RVshare rentals near Borrego Springs and other parts of southeastern California. Arizona’s famous Lake Havasu is a tall drink of water in a beautiful, rippling desert landscape. And with almost 400 spacious campsites and a towering list of on-site amenities, Havasu RV Resort is the perfect spot to enjoy it from. 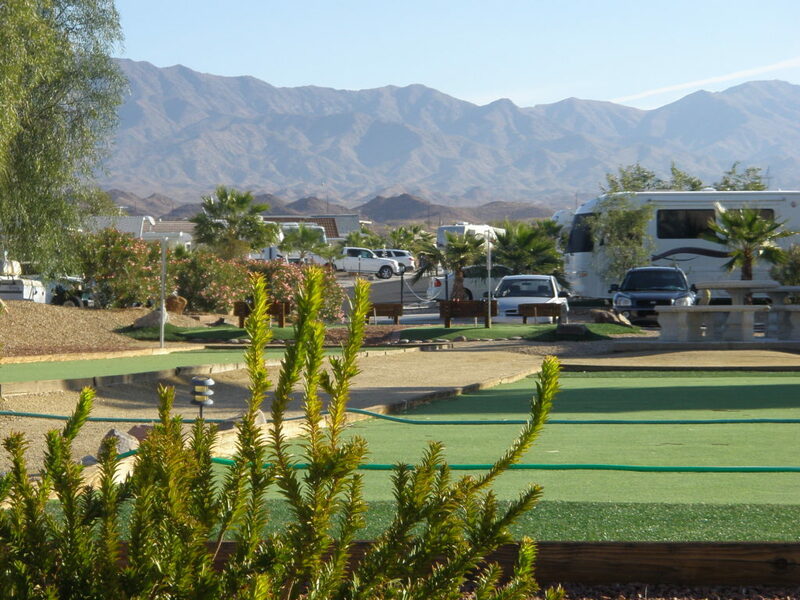 In case the lake itself doesn’t offer enough of a chance to get wet and wild, Havasu RV Resort features not one but two swimming pools, as well as jacuzzi tubs, Bocce courts, horseshoe pits, and a nine-hole putt golf course. 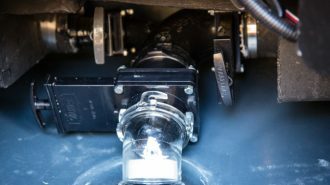 You’ll also be just a short drive away from some of the most sought-after RV road trip destinations in the country, like historic Route 66, the Hoover Dam, Palm Springs, Las Vegas, and even the Grand Canyon. Each of the 398 sites is individually owned, so you’ll be renting it directly from the deed holder. Click here to get all the information regarding rental rates and availability. Click here to see RVshare rentals near Lake Havasu, Arizona. Sometimes, luxury is exclusive. Elite parks often only allow a certain subset of rigs to enter. But as long as you’ve got the right kind of coach, you’ll definitely want to check out these amazing resorts. Whether you want to lounge under the shade of Spanish-moss-strung oak trees or sun yourself along the sandy shores, Hilton Head Island Motorcoach Resort is a lovely place to do it. Comprised of 50 acres of winding South Carolinian woodland, this motorcoach resort accepts Class A, C, and Super B rigs in its luxurious full-hookup campsites. You’ll enjoy free cable TV and WiFi, complimentary clubhouse access, and a lounge featuring game tables and computers. The resort also offers an exercise room and tons of outdoor diversions, like playgrounds, shuffleboard, a swimming pool, and even pickleball courts. In other words, you’ll have no shortage of opportunities to enjoy the bright Carolina sunshine. Rates are pretty pricey — but that’s no surprise, considering that this is one of the most famous and well-regarded motorcoach resorts in the country. Forest and clubhouse lots start at $80 per night for off-season rentals, and lake-view spots can go for as much as $120. Of course, if you really fall in love with it — and who wouldn’t? — you could always consider purchasing a space of your own. Aside from the obvious benefit of having an amazing go-to vacation spot, you could also use the site to make steady rental income. 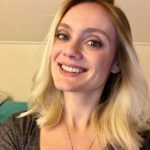 Add that to your RVshare earnings, and you’re talking about a nice slice of pie! Click here to see RVshare rentals near Hilton Head Island, South Carolina. No western RV road trip is complete without a #montanamoment or two. 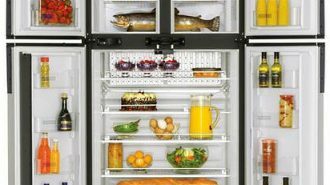 And if you want to do it up right, Polson Motorcoach and RV Resort is the perfect place to make your home base. 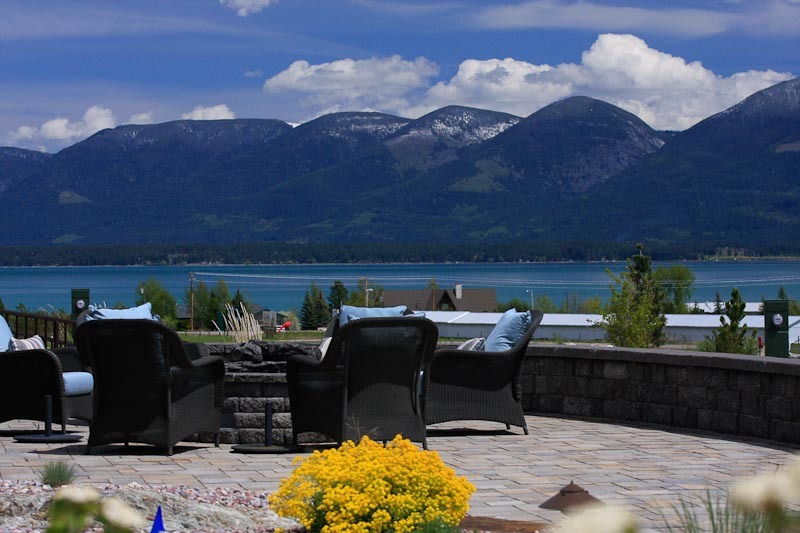 Located at the southern tip of Flathead Lake, Polson is convenient to a variety of Montana’s epic outdoor ventures. There’s plenty to enjoy on the lake itself and in the Flathead National Forest, but the famous Glacier National Park is only about an hour and a half north if you need even more wilderness to explore. With multiple well-manicured golf courses and cities like Missoula and Whitefish an easy drive away, even those who aren’t exactly rugged will find themselves with plenty to do. Heck, even just hanging out at your campsite and enjoying the view of the lake and mountains makes for an amazing getaway. To ensure your comfort, the campground offers all the conveniences, from fire pits to shower facilities to dog runs. 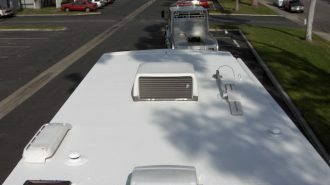 Like most luxury motorcoach resorts, however, there are some restrictions on what kinds of vehicles are allowed on site! You’ll need to be driving a Class A rig that’s 30 feet or longer and in “like new condition” per the resort’s rate page. Click here to see RVshare rentals near Polson, Montana. Western North Carolina is a hot destination these days. From the hip artsy vibe of Asheville to the scenic and outdoor-activity-packed Appalachians, it’s no wonder the place has earned a reputation for being America’s Mountain Playground. If you’re in a Class A motorcoach in good condition, Apple Valley Farm Motorcoach Resort can be the headquarters for your east-coast mountain getaway this year. When you’re not busy exploring all there is to do in the immediately surrounding area, you might find yourself engaged in a fun social event at the handsomely-appointed clubhouse… but honestly, the lake view alone would be enough to keep us happy, especially when the fall foliage comes in. 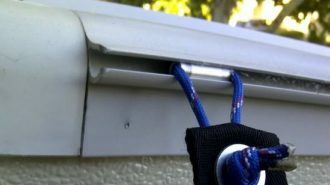 Rental sites include full hookups with easily-navigable, well-landscaped lots. Cable TV is not included… but who has time to stare at a screen in one of the most beautiful places in the country? You’ll also have full access to all the amenities at Rumbling Bald Resort, which surrounds the property. That means hiking, biking, kayaking, swimming, miniature golf and more. Click here to see RVshare rentals near Lake Lure, North Carolina. Nothing says “luxury” quite like camping where the water meets the land. Here are some of the best RV beach resorts in the country. 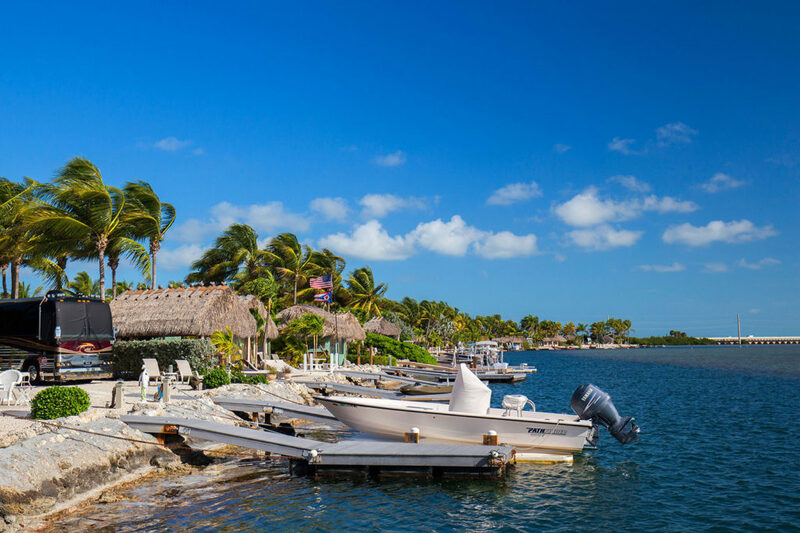 Bluewater Key RV Resort may just be the most beautiful property on this list. And if you’ve made it this far, you know that’s saying something. 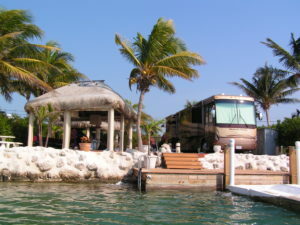 Each of its spacious campsites is privately owned, and is thus uniquely landscaped and situated; many feature their very own tiki huts, private docks, and direct access to the water. If you’re not busy boating around Saddlebunch Bay, you can still dip your toes in the resort’s freshwater pool, which is temperature controlled for your comfort. Bluewater also boasts a dog park, clubhouse, and community dock, as well as conveniences like shower and laundry facilities. Not every RV is built to handle this kind of beach-side fancy, however. 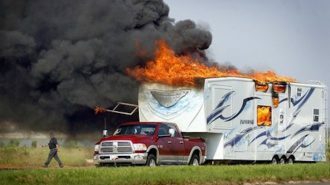 According to its website, Bluewater’s “Declaration and Bylaws do not accommodate Tents, Pop-Up Campers, RV’s with Soft Sided/Canvas Pop-outs, Hybrids, or Truck Campers. Minimum RV Length is 24′ Feet (traveling Length) & Subject to Park Approval.” In other words… sounds like a good excuse to rent a tricked-out rig! Rates start a $90 per night and go up even higher than $150. But what do you expect? We’re basically talking about heaven on earth. 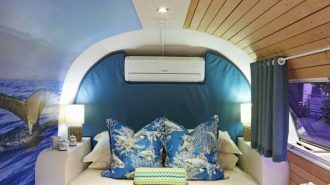 Click here to see RVshare rentals in Key West, Florida. 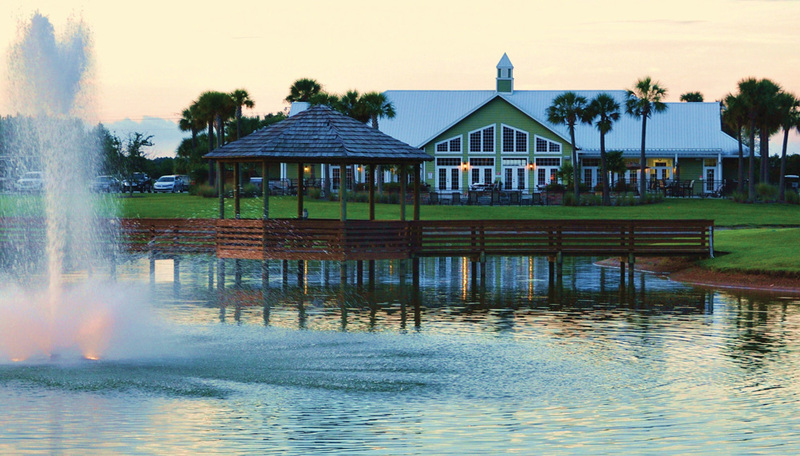 Sprawling over 25 acres of the stunning Gulfside Texas landscape, Stella Mare RV Resort pulls out all the stops when it comes to luxury camping. 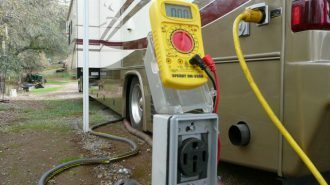 For one thing, you’re only steps away from some of the best-beloved beaches in the country — but with concrete pull-thru sites with full 50-amp hookups and premium campground-wide WiFi, even the inside of your rig will feel indulgent. 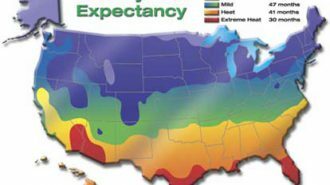 Of course, chances are you’re going to be spending the majority of your time outside. 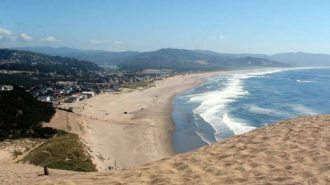 And if you find you get tired of enjoying the scenic seaside (not likely), you’ve got plenty of other amenities and activities to choose from. 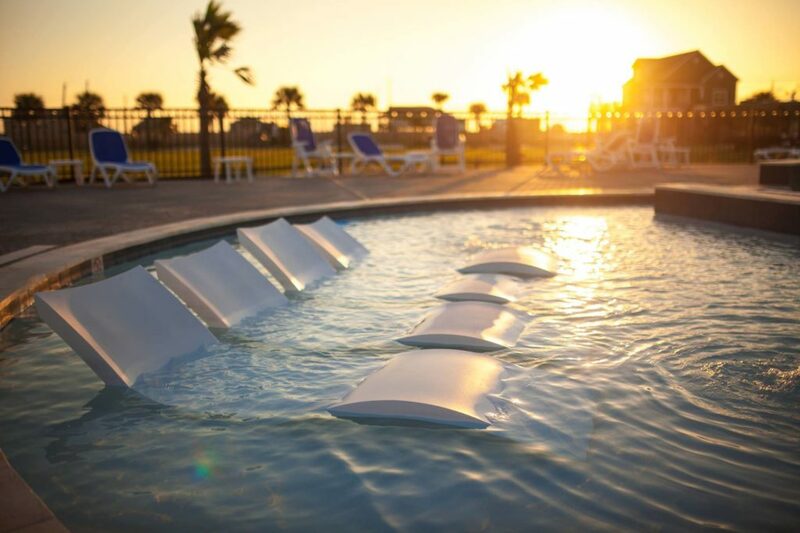 Stella Mare features the largest splash pad of any RV resort on Galveston Island, as well as a swimming pool with in-pool lounge chairs and a poolside hot tub, too. The kids will enjoy the multi-activity playground, and Fido can romp around not one, but two fenced dog parks. In all cases, you’ll enjoy unobstructed views of both the Gulf and Bay. 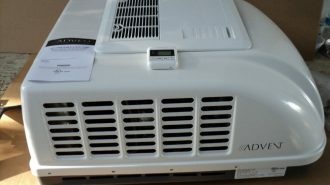 And best of all, the advertised rates are all-inclusive, so you won’t have to worry about any annoying surprise fees for using 50 amp power or bringing extra passengers along. With all those amazing amenities, it’s a little hard to believe that Stella Mare’s sites start at just $69 per night (though prices vary from weekday to weekend — click here for full details). They also offer discounted week-long and month-long campsite rates at surprisingly competitive prices. Plus, they’re even offering a limited-time promotion for late summer travelers! Whether you book online or over the phone by calling (409) 632-7017, use code SUMMERDAYS for 30% off your Weekday Ultimate and Weekday Premium RV sites for stays between July 9 and August 30, 2018. But hurry! Spaces are filling fast, and the deal doesn’t apply to past or future reservations. It may be southern California’s only beach RV resort… but it’s luxurious enough that you won’t miss having multiple options. Adjacent to the sea and scenery at Buccaneer Park and Beach, Paradise by the Sea is just that: a full-service luxury RV resort with unmitigated access to some of the most beloved beaches in the San Diego area. On site, you’ll find spacious 50-amp pull-thru sites as well as a sparkling resort-style pool, relaxing hot tub, and free HD cable and WiFi. But with easy access to a host of charming coastal California towns, chances are you won’t be in your rig long enough to notice all the digital extras. The campground is only 90 minutes from LAX, which means it’s easy to fly in and pick up your rental rig on the way to your destination. 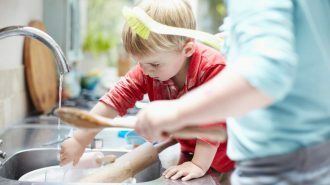 And if you’ve got kids along with you, this resort makes the perfect home base for visits to LEGOLAND California, the San Diego Zoo & Safari Park, and Sea World San Diego. Don’t get us wrong, this place is pricey. Sites start at $90 per night, and month-long rentals go for well over $2,000. Then again, that’s probably what you’d pay for a teeny studio in the non-beachfront heart of San Diego… and goodness knows your camper is a whole lot more comfortable. Click here to see RVshare rentals near Oceanside, California. 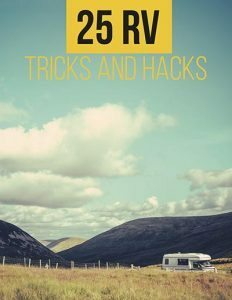 How Do I Find RV Parks Near Me? 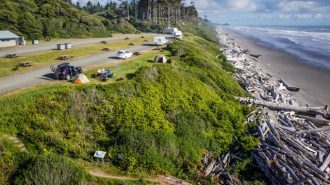 Even if none of these upscale RV parks and campgrounds is on your next vacation route, there are plenty of other luxurious options to explore. In fact, as RVing increases in popularity, more and more resort-style campgrounds are being opened each day! To find even more high-end RV resorts and luxury trailer parks, you can start by searching the web. 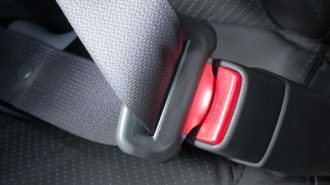 Some helpful keywords might include “RV camping near me,” “RV resorts near me,” and “RV campgrounds near me.” Websites and apps like Roadtrippers and Yelp can help you learn more about what to expect from each campground before you make a reservation, and in many cases, you can find high-fidelity photographs of the spaces and features on the company’s website. No matter what campground you end up in, don’t forget to do the little things it takes to pamper yourself, as well. With the right mindset, even a plain-Jane state park can make for a luxurious, well-deserved getaway — especially with a nice glass of wine and a pair of sophisticated sunglasses. Oh, and don’t forget the cheese board, either!